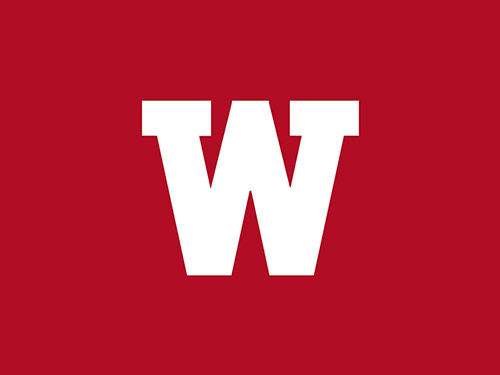 Welcome to Today@WKU, the daily newsletter from WKU Public Affairs, for September 28, 2018. WKU Football will host Marshall at 6:30 p.m. Saturday as part of Parent & Family Weekend on the Hill. WKU's 2018 Parent & Family Weekend today and Saturday: WKU’s annual Parent & Family Weekend begins today and continues with a full day of activities on Saturday. The WKU Family of the Year will be recognized during Saturday night’s WKU vs. Marshall football game. WKU ranked No. 3 on Top 15 Bachelor’s in Long Term Care Administration 2018-2019: WKU has been ranked No. 3 among Healthcare Administration Degree Program’s Top 15 Bachelor’s in Long-Term Care Administration 2018-2019. The program is part of WKU’s College of Health and Human Services. Volleyball: Seniors Lead WKU to Five-Set Win at Southern Miss: WKU Volleyball moved to 3-0 in Conference USA matchups with a five-set victory over Southern Miss Thursday night. The Lady Toppers improved to 12-5 overall while the Golden Eagles dropped to 7-9 (1-2 C-USA) as Rachel Anderson led the way with 17 kills and a .424 hitting percentage. Next: WKU vs. Rice at noon Sunday at Diddle Arena. Soccer: WKU Wraps Up Program-Record Road Swing at Charlotte, Old Dominion This Weekend: After being on the road for nearly the entirety of the month of September, WKU Soccer (2-5-2, 0-2 C-USA) will end its five-match road trip this weekend with visits to C-USA foes Charlotte today at 6 p.m. and Old Dominion on Sunday at noon. Tennis: WKU Travels North to Compete in Purdue Invitational: Lady Topper Tennis will compete in the Purdue Invitational this weekend at the Schwartz Tennis Center in West Lafayette, Ind. Teams playing at the Invite include Ball State, Xavier, Miami-Ohio, Lipscomb, Wright State and Northern Illinois. Sensory sanctuary: WKU to offer game day calming room for children with autism: As the mother of a child with autism, Amy Hardin has learned there are some community events that her family can’t fully enjoy. That’s why Hardin is working with WKU’s Alumni Association on Saturday to offer a sensory calming room during the football game against Marshall. Journalist receives courageous reporting award: A reporter from Mexico received an award for courageous reporting at WKU on Thursday. Marcela Turati accepted The Award for Courageous International Reporting which is sponsored by the Fleischaker/Greene Fund for Excellence in First Amendment Issues at WKU. Barren River Area Safe Space Group and WKU Counseling Center hold domestic violence awareness event: October is the official start of Domestic Violence Awareness Month, and several groups at WKU joined together for a kickoff event for that cause on Thursday. Noon: WKU Volleyball vs. Rice. Diddle Arena. Contact Athletic Communications, (270) 745-4298. 2 p.m.: Hardin Planetarium Show: Humans on Mars. Hardin Planetarium. Contact Planetarium, (270) 745-4044. 3 p.m.: Recital: Dr. Kevin Ayesh, piano. Ivan Wilson Fine Arts Center Recital Hall. Contact Music, (270) 745-3751. 8 a.m.: Stickwork at WKU. Kentucky Museum front lawn. Through Oct. 19. Contact Cultural Enhancement, (270) 745-4375. 4 p.m.: Topper Tank Elevator Pitch Competition. Grise Hall, room 238. Entry deadline Sept. 28. Contact Center for Entrepreneurship and Innovation, (270) 745-4142.